Find the tasty recipe for the Summer Berry Cheesecake HERE. On today's "Manage It Monday," we're going to chat about the 2016 Summer Planner available in the shop right now! I've written about this one before, but since it's been awhile, let's revisit it to make your summer easy and fun for everyone. There are now twenty three (yes, 23!) 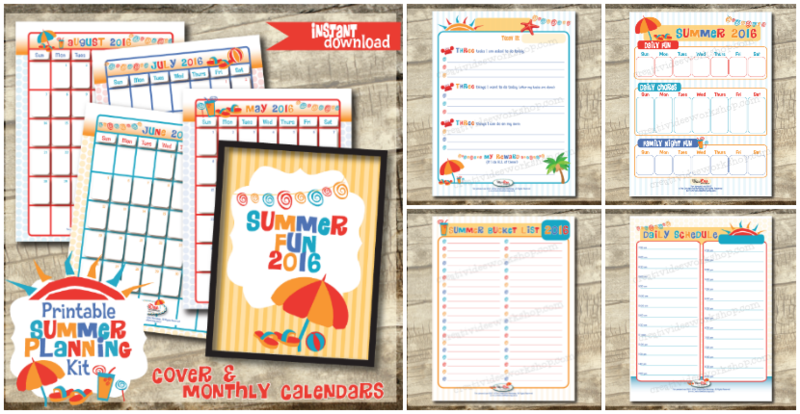 pages of fantastic summer organizing in this collection. This is an INSTANT DOWNLOAD in the shop, so you can print immediately and get planning. You won't believe how much time this will save you! New website, new logo, newsletter and new products entering the shop daily! Have a look around and by the end of this month, you'll be able to sign up for The CreativiDee Workshop's monthly newsletter for discount codes for the shop, news and exclusive free printables only accessible via the newsletter. 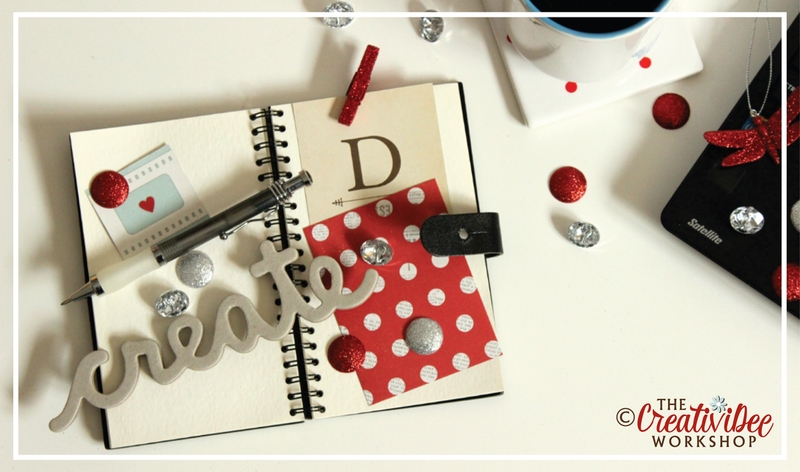 The CreativiDee Blog is also going to be revamped and ready for fun DIY tips, party inspiration, printable gift ideas, organizing info, holiday decor and more! 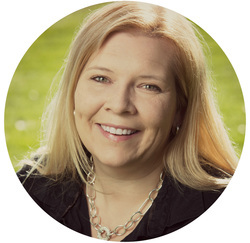 I'm excited to begin this journey with you and hope you'll come along with me. Well it seems as if 2015 is but a blur right now. It's hard to believe we flip the calendars at midnight tonight! Crazy! 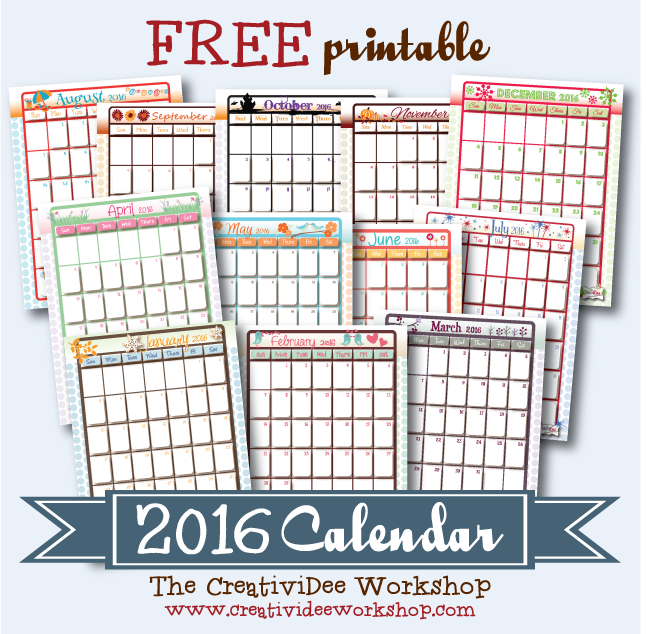 To start your fantastic new year off right, I've got the FREE 2016 calendar ready for you to print. Use this as your regular calendar for all of those important dates or mix it up, as I tend to do and use it not only for day to day planning, but for meal planning, project planning, a mini 'diary' (jot down a highlight from the day) or whatever you need to organize! Print it up! Have fun! ​Cheers to a fantastic memory filled and abundant 2016 to everyone!